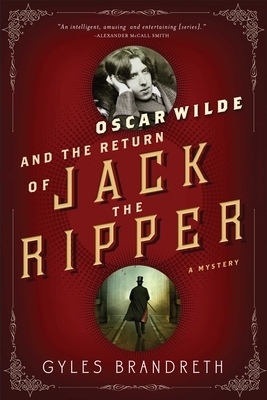 When it appears that the notorious Jack the Ripper has returned to London, Chief Constable Melville Macnaghten recruits his neighbor Oscar Wilde to help him solve the case, hoping the author's unparalleled knowledge of the London underworld might be exactly what the police need to finally capture the serial killer. In an account narrated by Wilde's close friend, fellow author Arthur Conan Doyle, Wilde gathers together suspects from the theaters, brothels, asylums, and traveling circuses of East London in the hopes of finding the true identity of Jack the Ripper before he can strike again. But even as the pair of amateur detectives venture further and further into a tangled web of criminals, performers, and prostitutes, new killings come to light that bring the investigation right back to Wilde's own neighborhood.